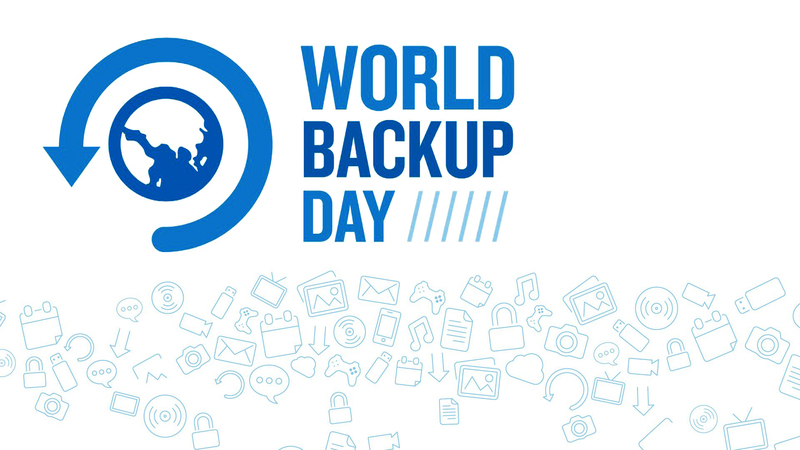 World Backup Day is set aside as a reminder to backup your files, even if it’s once a year! Unfortunately, most people don’t think to backup their files until they face a hard drive crash–and yes even solid-state drives will eventually fail–or they simply don’t know how. I’ve already made you aware to backup your files, now here’s how. The 3-2-1 Backup concept–three copies of your files, two stored on different media and one backup copy offsite–has been around for years. It’s foolproof if you follow the simple steps correctly to build a “set it and forget it” backup. The workflow is simple. We use our computer to store and run programs that save data to an external hard drive which is mirrored to a local external hard drive. The mirrored drive then gets backedup and transported offsite either physically or by using an online backup service to complete the final fail-safe plan. Follow along with this article, “Building a Bulletproof Backup System,” for a step by step tutorial. Ideal for: Typical users, College Kids, my Dad. 1TB drives are plenty for word documents, music and cell phone photos. If using this setup with a Laptop, save $68.00 by using your internal drive as your main working drive. You have to be disciplined and sync your drives plus backup to Dropbox or Google Drive. This setup isn’t bulletproof but it is better than nothing. Ideal for: Running a very small home-based business, hobbyist photographers, photographers getting started in the business. Photographers add $120.00 for the solid-state drive. You’ll thank me later when editing in Photoshop or Lightroom. Adding a Network Attached Storage (NAS) such as a Drobo 5N or Synology for about $499.00 to $599.00 allows your storage to grow as you grow. Ideal for: professional photographers, mission-critical business where downtime is not an option, and users that want a storage solution to grow as they grow. I grew my 10TB system over the years. Currently, I have four Seagate Desktop 3TB HDD SATA 6Gb/s NCQ 64MB Cache 7200 RPM in each Drobo. Each drive cost $102.00 bringing the total cost to $408.00 per unit adding $816.00 to the overall storage solution. The best part of this solution, Drobo takes the up-front guesswork out of determining the amount of capacity I require. I buy the capacity I need today, and when I need more storage, I simply replace my smallest drive with a larger one and immediately use that capacity in seconds. I’m interested in hearing your thoughts on your current Bulletproof Backup Plan. If you have a unique storage question or problems, feel free to leave a comment below. By the same time next year, data loss should be a thing of the past.